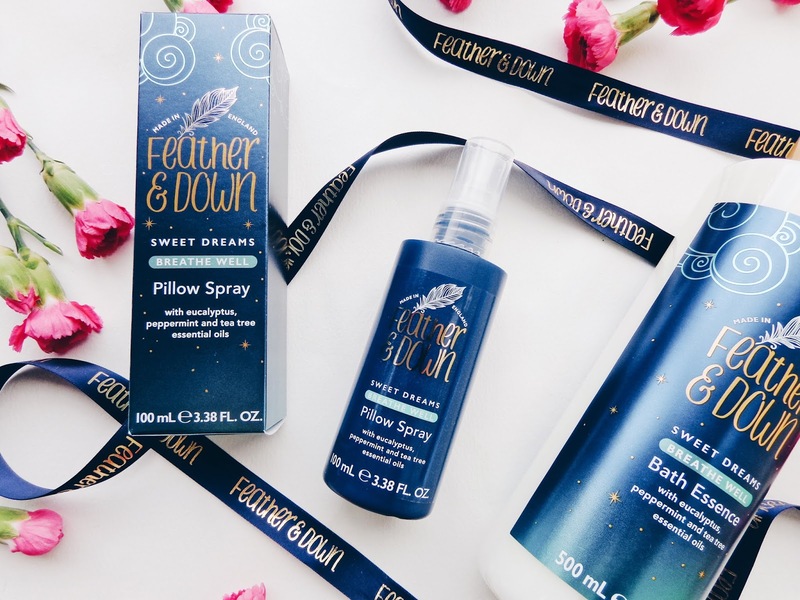 Today I am sharing a post on one of my favourite bath, body and skincare brands, Feather and Down Sleep. 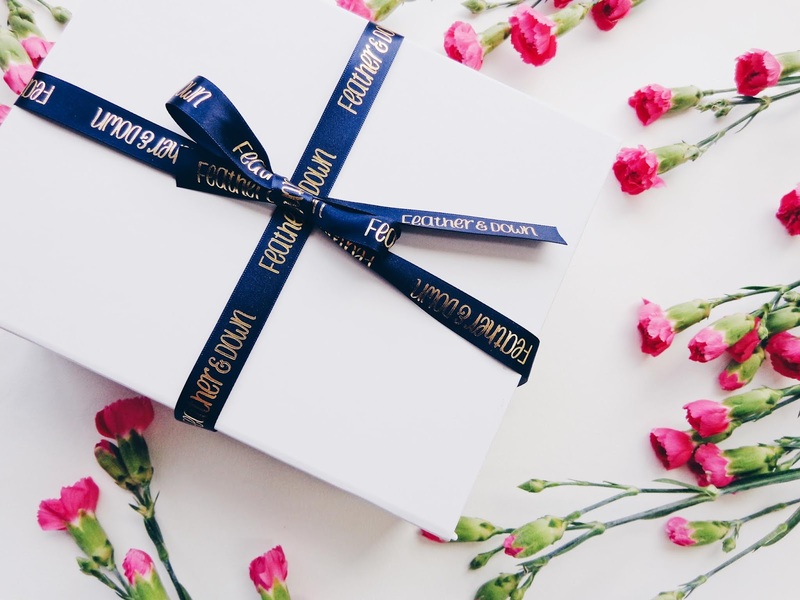 If you have read my blog before, then you will already know a bit about them if you read my blog post on Celebrating National Bed Month and Mother's Day with Feather and Down or a sleepy gift guide post and another which I wrote on their sweet dreams travel bundle (ideal for any upcoming summer holidays as all the products are perfectly travel sized!) 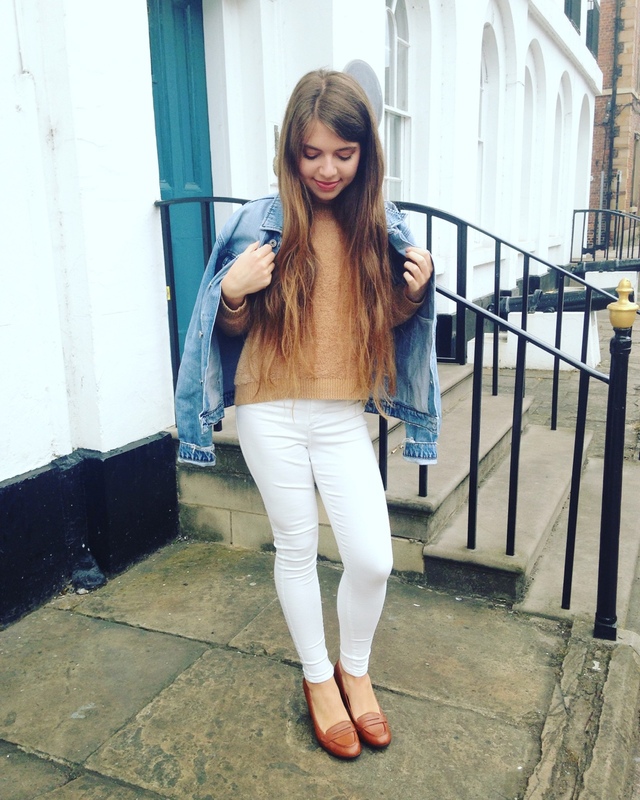 Today I am writing about some amazing 'Breathe Well' products which they will be bringing out very soon, so watch this space! 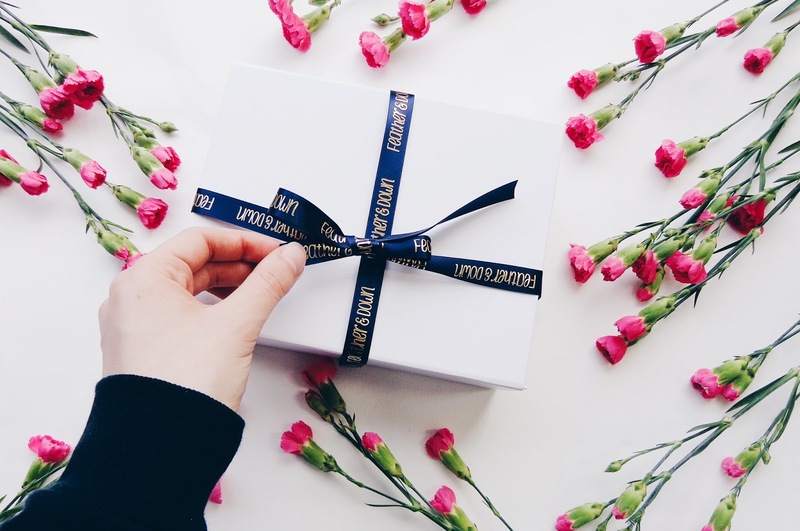 I love how pretty their products always arrive and how effective the products actually are too. Natural aromatherapy smells amazing of course and has calming properties that help to ease away daily tensions, making it a win win in my book! 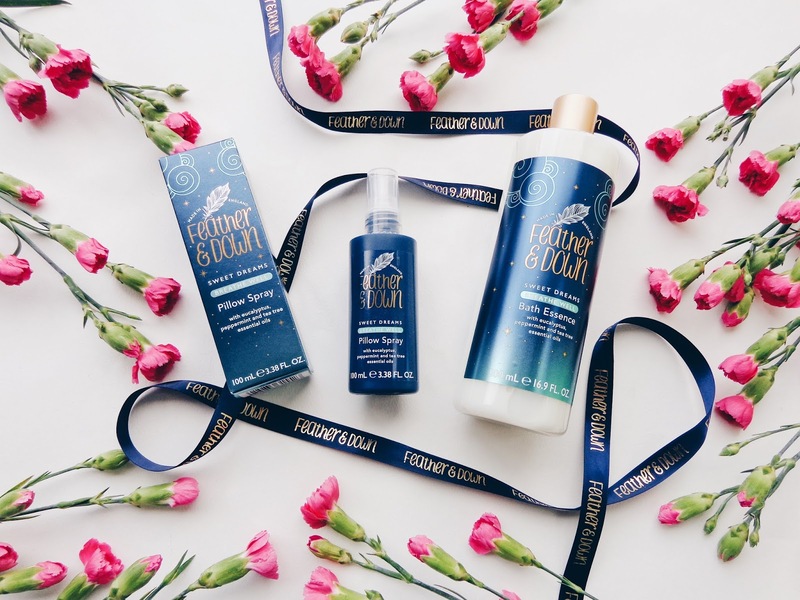 If their original aromatherapy collection of bath products, infused with pure lavender oil and camomile wasn't enough, they have added soothing menthol vapours from eucalyptus, peppermint and tea tree essential oils within their new product line. These work harmoniously together to ease the airways (ideal if you suffer from any bouts of hay fever at this 'flowery' time of year!) and aid a restful night's sleep, so that you can wake up feeling refreshed and peacefully recharged. 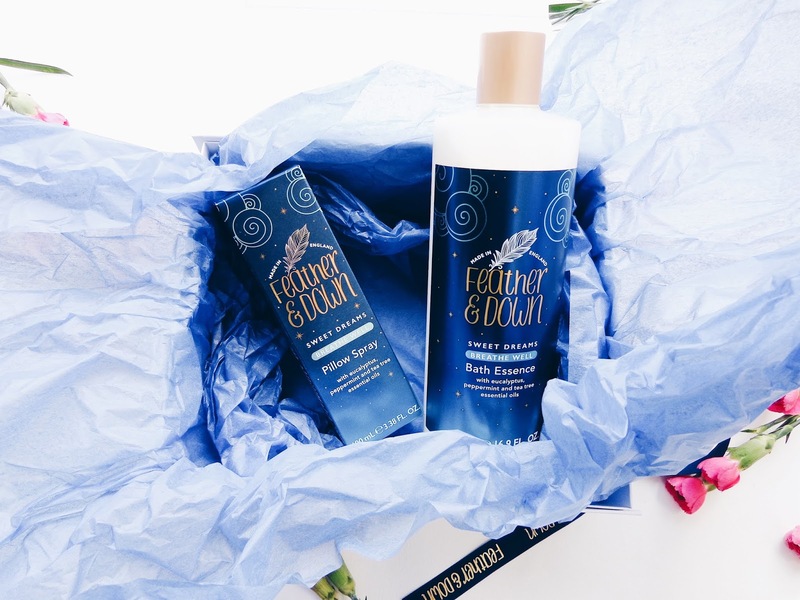 Peppermint and eucalyptus are also renowned for their soothing and cooling properties too, so they really do harmonize and set a Zen vibe to the room before bed. 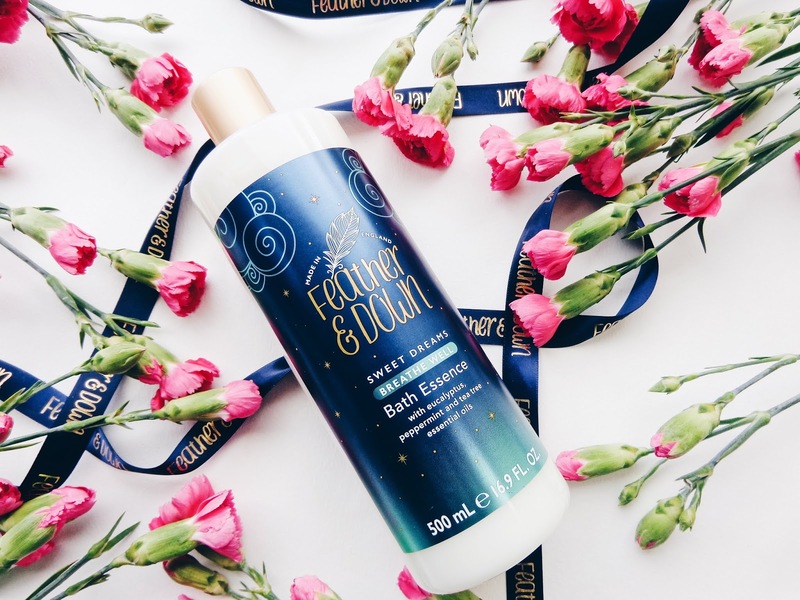 The Bath Essence is perfect for any evening where you want to relax and really pamper yourself. 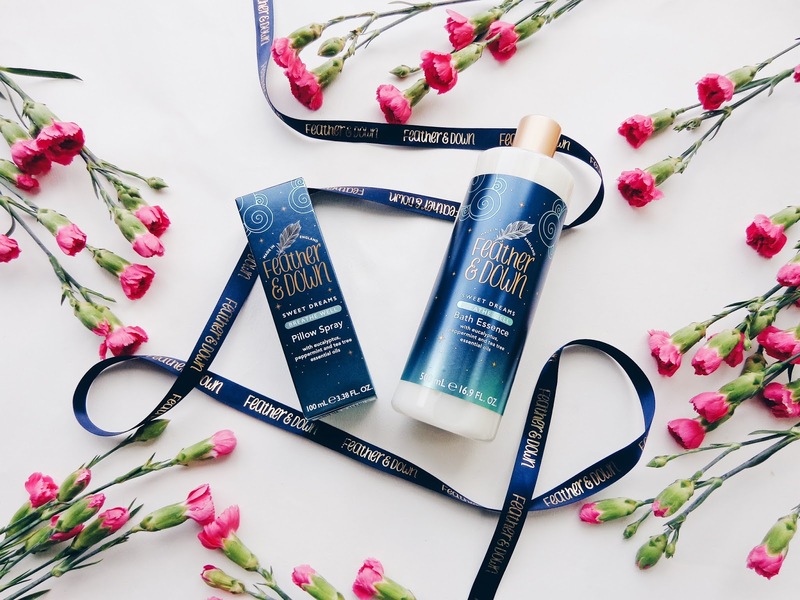 Simply added to running bath water or used as a shower cream, breathing in the delicate fragrance will help you gradually unwind and ease you into a state of peace before bed. 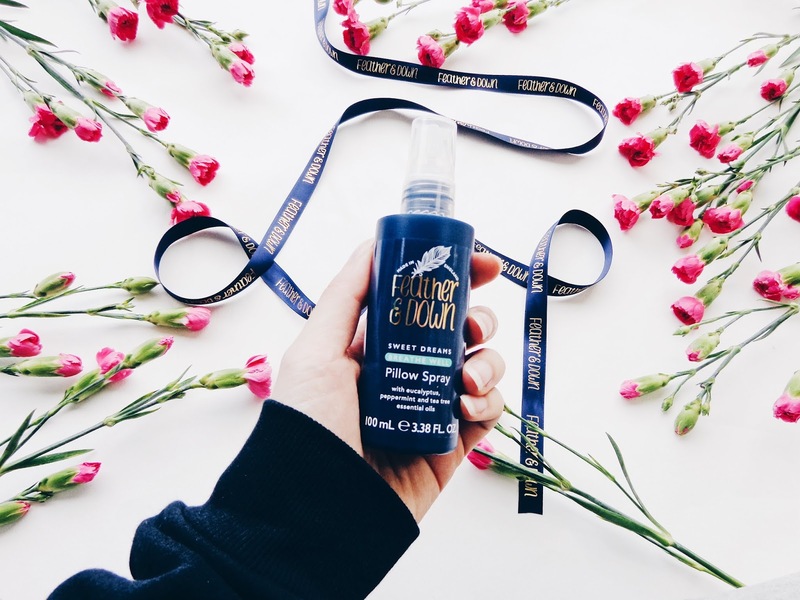 The pillow spray works the same and sets the calming ambiance in a bedroom - just a couple of spritz and the aromatherapy helps you to unwind. The sweet dreams pillow spray. True tranquillity in a bottle! 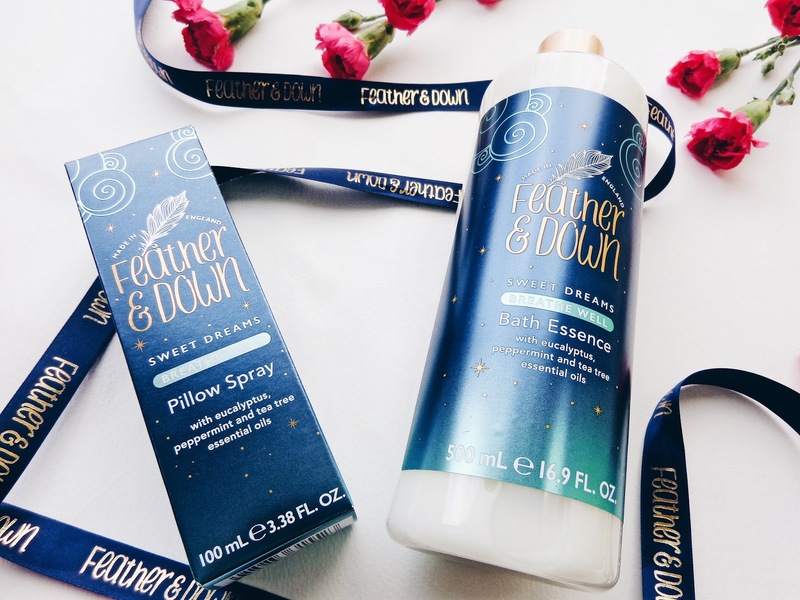 This post contains PR samples from Feather and Down Sleep. All views remain honest and my own.